Born: June 5, 1899 in Bourne Ma. Died: June 10, 1982 in Bourne Ma. at 83 yrs. Where Lived: 669 County Rd in Pocasset Ma. Married: April 29, 1922 in Bourne Ma. 1. Elizabeth Hammond Davis; (April 14, 1924 – September 18, 2011); Elizabeth is buried with her parents in Pocasset Cemetery. 2. George Burnside Hammond, Jr., WW ll; (May 4, 1926 – August 12, 2012); Married Anne Patricia Waters (1926 – 2011) (Vincent Waters & Kathleen Lawlor) in Bourne Ma. 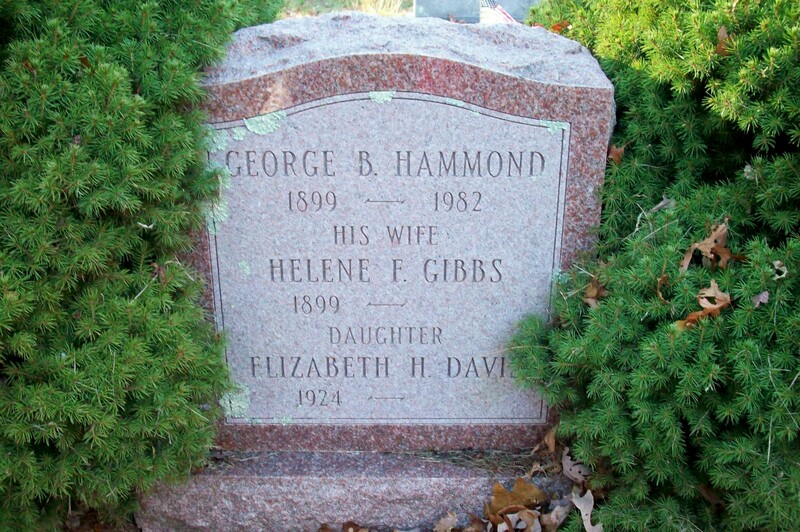 on November 14, 1948; George is buried in Massachusetts National Cemetery in Bourne Ma. & Anne is buried in Pocasset Cemetery.